Fifth debate on Nationality Law in Knesset after new demand by Ahmed Tibi. Dichter announces he will work in coalition to prevent move. 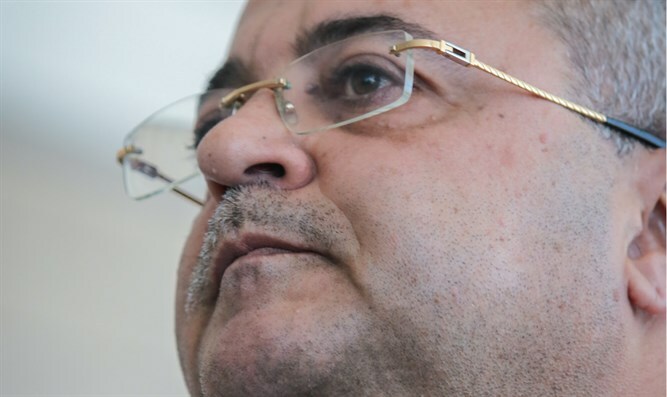 MK Ahmed Tibi today demanded of National Basic Law Committee Chairman Knesset Member Amir Ohana (Likud) to allow former MK Mohammed Barakeh (Joint Arab List) to participate in the committee just as the Jewish Agency's Director was allowed today to speak on committee. Yesterday Ohana acceded to the request of Jewish Agency Chairman Natan Sharansky to allow the Agency Director to address the committee on the Nationality Law. "I decided to accept the Jewish Agency Chairman Natan Sharansky's request. We'll invite the Jewish Agency Director General Josh Schwartz to come and speak in the name of world Jewry. The State of Israel is the national home of the entire Jewish People and it is indeed important to hear the voice of world Jewry." The Nationality Law would establish the status of the State of Israel as the nation-state of the Jewish people and the right of the Jewish people to self-determination in its homeland as a unique right of the Jewish people. It would also anchor the symbols of state, Jerusalem as the capital of Israel, the Jewish calendar as the country's official calendar, and the Hebrew language as the official language. Several MKs, as well as Attorney General Avichai Mandelblit and President Reuven Rivlin, have opposed Section 7 of the law, which allows Jewish communal settlements to refuse to accept non-Jewish residents. Today the Director General came to speak but MK Ahmad Tibi interrupted him, demanding he invite the Chairman of the Higher Arab Monitoring Committee in Israel Barakeh to the discussion. Bill sponsor MK Avi Dichter (Likud) announced he would work in the coalition to block the move. "The monitoring committee isn't even a statutory body. I strongly oppose Barakeh's appearing." Tibi sought to convey a message to the Arab public in Israel: "I call on young Arab couples who want to upgrade and take care of their children's future to move to Afula, Carmiel, and Upper Nazareth."